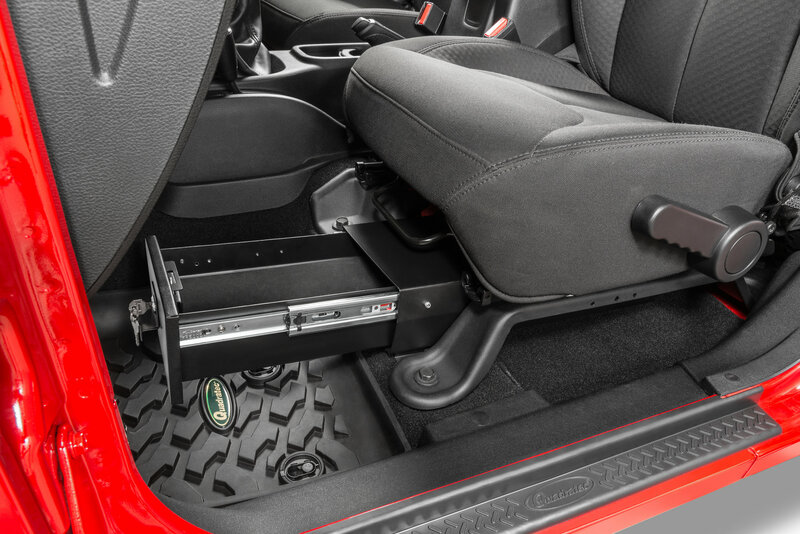 Wrangler JK Unlimited owners can add fully functional and secure extra storage to the Jeep with the addition of the Under Seat Storage Vault from Vertically Driven Products. This vault mounts securely underneath the driver side seat of the Wrangler JK Unlimited 4 Door vehicle. 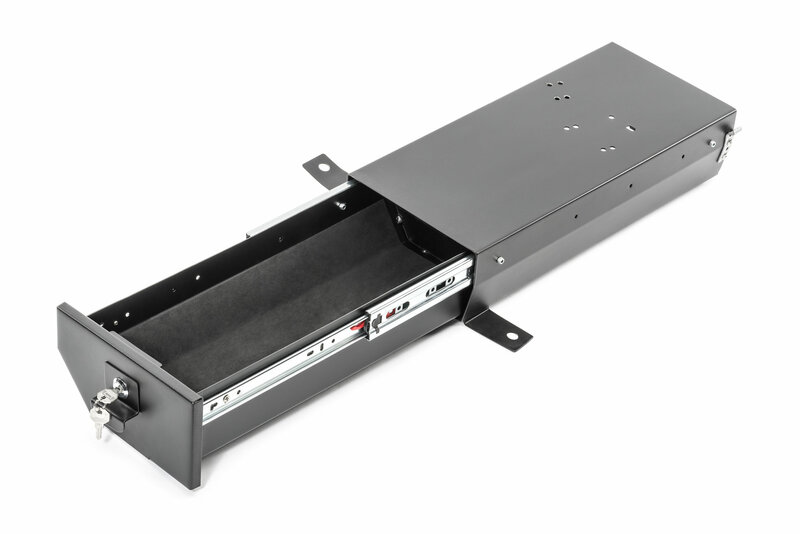 Once installed, this unit adds up to 352 cubic inches of extra storage to store valuable items safely and out of sight. 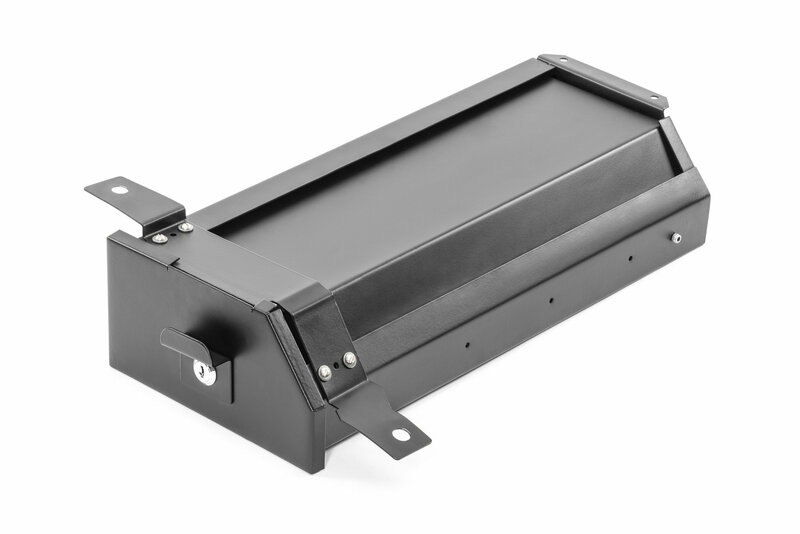 The drawer extends fully out to 15 inches, allowing for plenty of storage room, and opens and closes smoothly on heavy duty ball bearing sliders. This unit installs into the Jeep with no drilling to factory locations, and the rear stability bracket is designed to prevent any possible shaking or rattling that may occur while driving. Included are pre-punched holes for heated seat wiring, making installation that much easier. The pick proof cam lock comes complete with 2 keys. 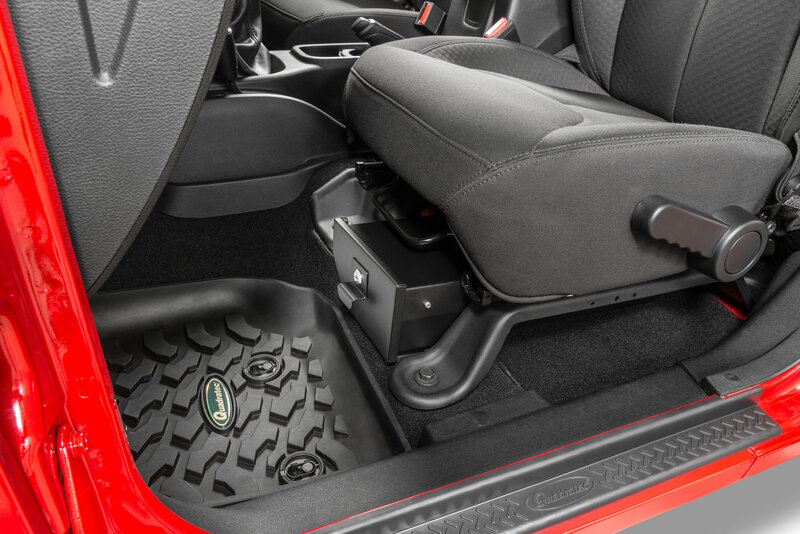 Valued Extra Storage: The Under Seat Storage Vault will add up to 352 inches of storage space to the Wrangler JK Unlimited Jeep. 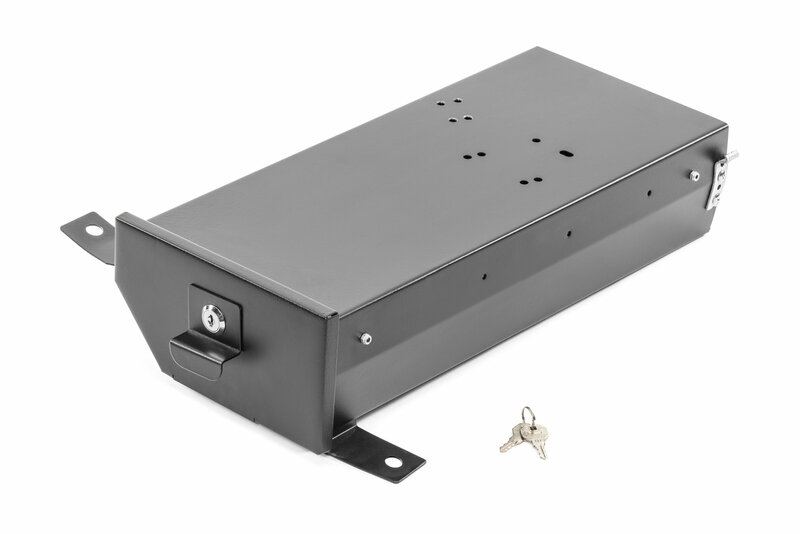 Lock valuables in place with the heavy duty cam lock (keys included). 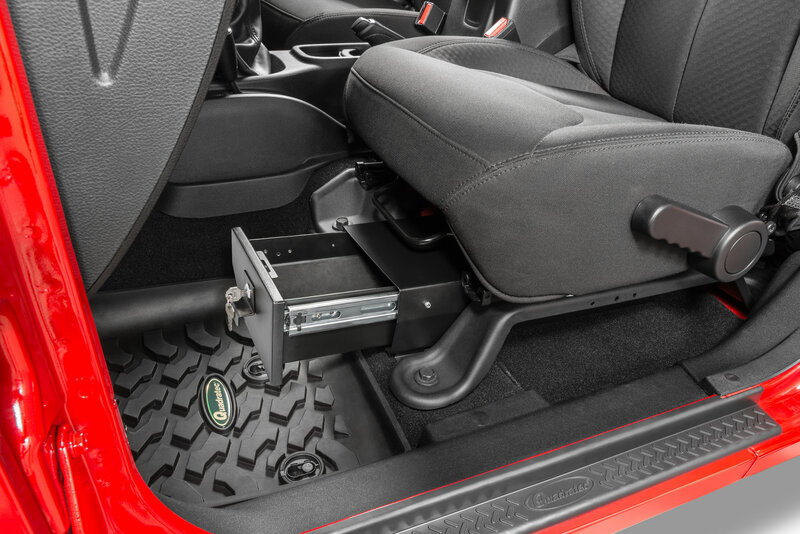 Easy Installation: The vault securely installs underneath the driver side seat in the Wrangler JK Unlimited with no drilling or modifications required. The heavy duty rear bracket ensures no shaking or rattling will occur while driving. Pre punched holes account for heated seat wiring. Great lock box for me to put my conceal carry gun in when I cannot carry. Very solid. I bought this one over the others due to the fact that it has a handle to pull to open. That way if I chose to have my gun there but unlocked I can retrieve it by pulling the handle. Wow, I'm impressed. I put this in in 25 minutes time. Took longer to put on the mounting bracket. I got it in time to put it in for my trip to FL. I bought it to put cc weapon for the times I cant carry (ie: work, going into school, etc.) It worked great, and it was easy install and pretty easy to get into. Thinking about ordering one for my wife's jku too. Very well built. Full extension. Fits very well on my 2017 JKU Sport Some of the best installation instructions I've ever used. They even include a tip for installing some almost blind nuts. (They call the nuts bolts but that is the only very minor error I found.) Took about an hour to install.